This long awaited 9 month course is for women who are called by the light of the moon, the deeper mysteries of life and the wild unknown of their inner-most self. I am delighted that you are here, and that you have heard the call of the moon, The Goddess and of your own desire to know more, be more and share more of your feminine, sacred, goddess-self. You are about to enter into an ancient lineage, a sacred teaching and a divine way of being female. 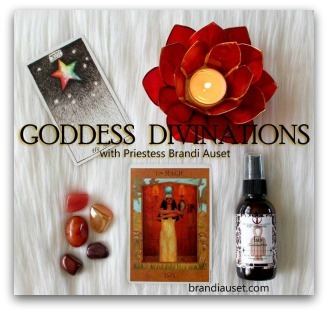 You are about to learn of your deep, sacred and ancient roots and become as a goddess on earth. Once you see into this realm, know yourself in this way, you will be forever changed – in the most wonderful of ways. 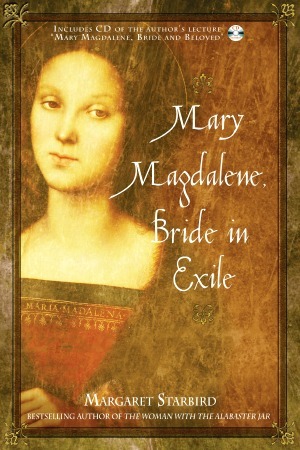 Come sister, join us…come back to all that is beautiful, sacred, ethereal, poetic, powerful & feminine. 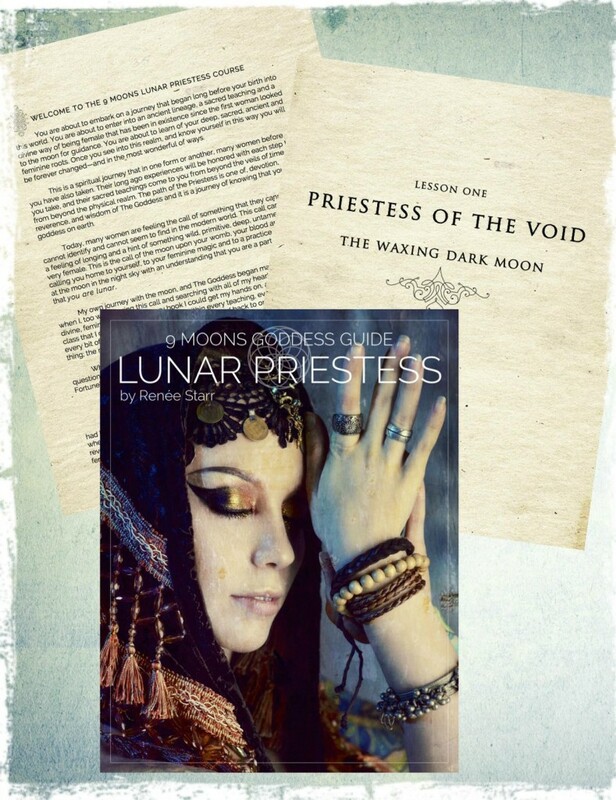 Discover Goddess magic, alchemy, ritual, lunar wisdom & sisterhood…become a Lunar Priestess! 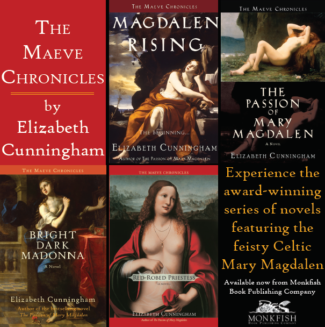 Long ago, women devoted themselves not only to The Goddess, but also to the moon. Gone now are the temples they worshipped in, but not gone is the wisdom, ritual and ceremony they have left behind. 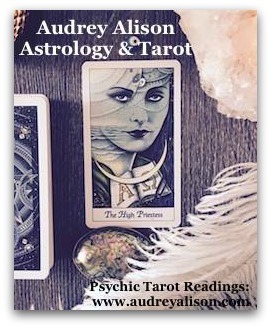 Reclaim the ancient teachings for yourself and call upon the light of the moon to deepen your relationship with the lunar cycles of your body, and discover your own inner moon magic. Expect a very special, sacred experience of reverence, devotion, exploration and understanding of the moon and her special feminine magic. 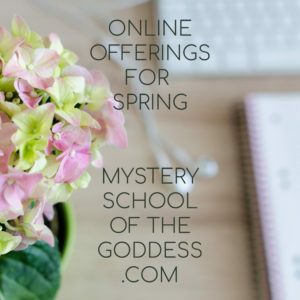 You will experience 9 beautifully designed lessons – one each month, filled with lunar priestess teachings and wisdom from the Goddess aspects associated with each month’s moon, and culled from many different cultures and paths – along with rituals and ceremony for the nine moons that you will explore; new, first quarter, waxing gibbous, full, last quarter, waning gibbous (disseminating), waning crescent, dark and new once again. This lunar cycle, or ‘lunation’, offers you a very special opportunity to experience the moon in a personal, intimate way, and to experience a journey of self-discovery with your own cyclical, goddess-like nature. 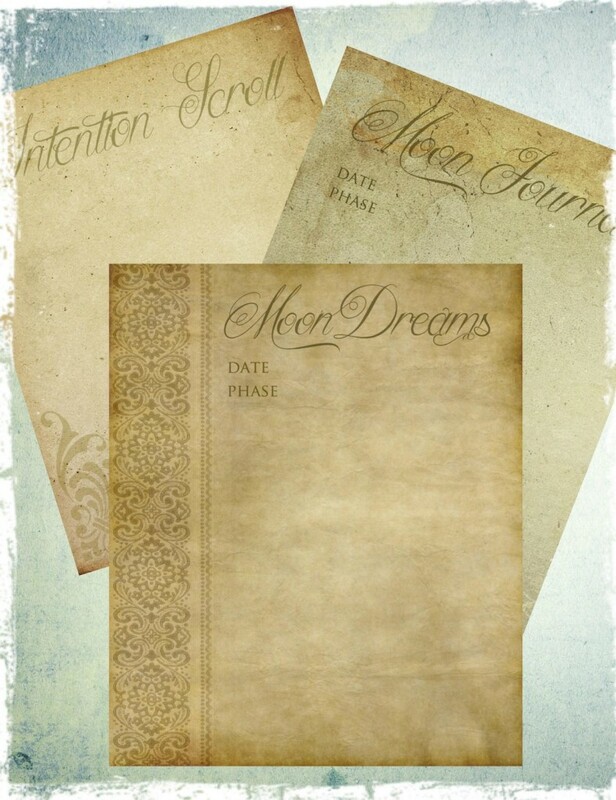 Experience the many ways that you can work with the moon, such as: using herbs and flowers associated with the moon to make teas and for use in magical lunar rituals, studying your birth moon phase and moon sign for deeper understanding of your feminine nature and power, learn to dream with the phases of the moon, make moonwater potions for beauty, healing and magic, chart your lunar moods and so much more. This is a very rich, interactive, hands-on course that will teach you many ways to work with the moon’s ever changing essence. 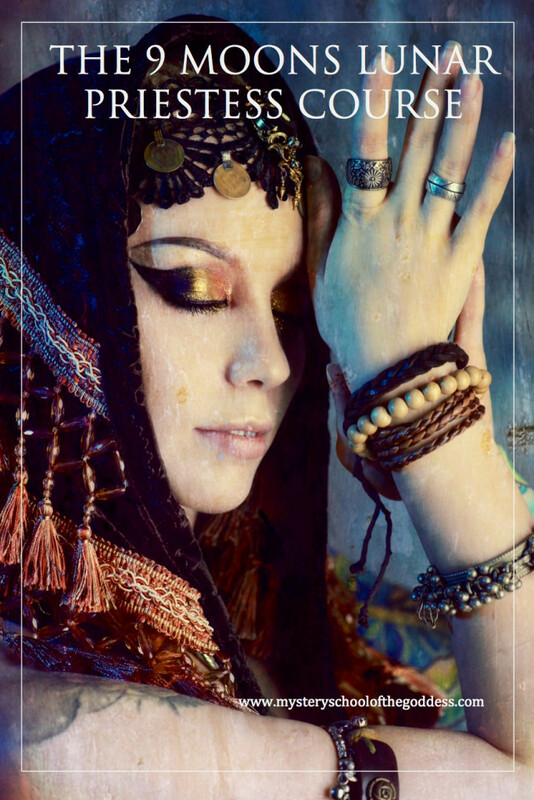 Filled with mystical, magical and deeply feminine wisdom, this course is based on my 30+ years of working with the moon, and The Goddess – all of which I am thrilled to share with you.